Time to clean out those expired coupons and make room for new ones! 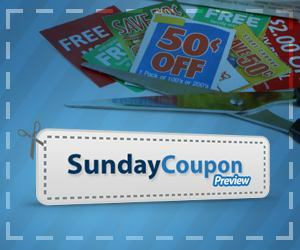 According to Sunday Coupon Preview there will be two coupon inserts in the Sunday, May 5, 2013, newspaper – a Smartsource and a Red Plum. Look for savings on Neutrogena, Hefty, Ziploc, Stayfree, Sparkle, Weight Watchers, General Mills and more!